The Directors of BP p.l.c. announced that the interim dividend for the third quarter 2014 would be US$0.10 per ordinary share (US$0.60 per ADS). This interim dividend is to be paid on 19 December 2014 to shareholders on the share register on 7 November 2014. The dividend is payable in cash in sterling to holders of ordinary shares and in US dollars to holders of ADSs. A scrip dividend alternative will be made available for this dividend allowing shareholders to elect to receive their dividend in the form of new ordinary shares and ADS holders in the form of new ADSs. US$6.946 for each new ordinary share. date of 6 November 2014. 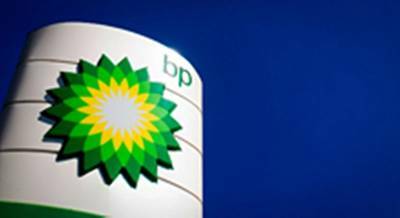 The Reference Share Price is the average of the US dollar equivalent of the closing mid price quotation for a BP ordinary share on the London Stock Exchange Daily Official List for the four consecutive dealing days beginning on the ex-dividend date of 6 November 2014. The US dollar equivalent price each day is calculated from the sterling closing mid price using the exchange rate published by the Bank of England at 4pm each day. US$41.726 for each new ADS. For holders of ADSs this is equivalent to 1 new ADS for approximately every 69.543 ADSs held prior to the ex-dividend date of 5 November 2014. Dividends payable in cash in sterling on 19 December 2014 will be converted from US dollars at the average of the market exchange rates for the four dealing days from 2 December 2014 to 5 December 2014. The sterling cash dividend will be announced to the London Stock Exchange on 8 December 2014. The latest date for receipt of elections to participate in the Scrip Dividend Programme for this interim dividend is 1 December 2014. Shareholders must return their mandate form or otherwise input their CREST elections, to be received by BP’s Registrar, Capita, by 4.30 pm (London time) on 1 December 2014, and ADS holders must return their election form to the Depositary, JPMorgan Chase Bank N.A., by 5.00 pm (New York time) on that date. Elections received after this deadline will apply to subsequent dividends only. Unless revoked by you, your scrip dividend election will apply for all future dividends for which a scrip dividend is offered. Evergreen elections for CREST shareholders will not be accepted and elections will revert to cash by default after the payment of each dividend.